Seeking a little bit of spring in your never-ending winter? The key may be the perfect whimsical nail art that will have you daydreaming of ice cream and warmer weather. We teamed up with Miss Pop to demonstrate just how easy it is to achieve this colorful look using Sally Hansen® Miracle Gel™. If we weren’t craving spring enough, this may have sent us over the edge! Step 1 – You get to skip the base coat (and the light) with this gel nail art! Begin by applying two coats of Sally Hansen® Miracle Gel™ in Get Mod to 4 of your 5 fingers. On the empty nail, apply Shock Wave for a fun pink accent nail. Allow nails to dry. 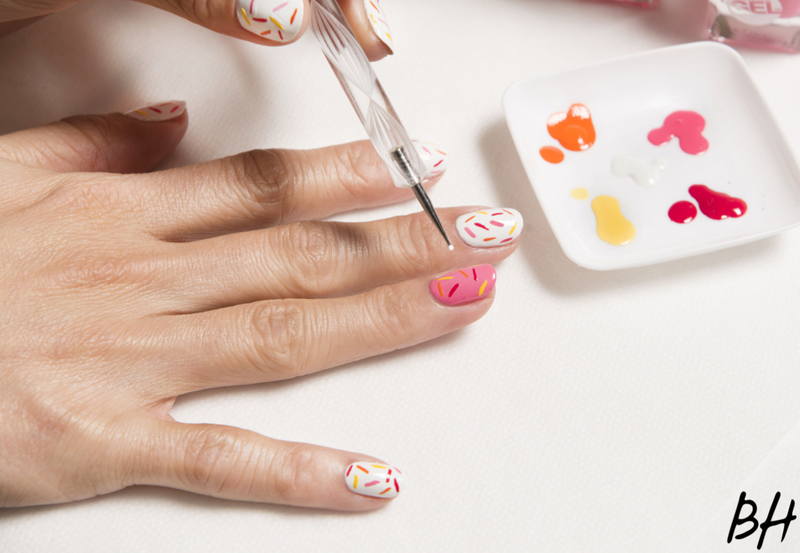 Step 2 – Once dry, use your Sally Hansen® dotter to create the sprinkles. Going one color at a time, dip your dotter into the complimentary color and create a short flicking motion with you wrist. Be careful to not simply place the dotter on your nail but drag it to create short thin sprinkles. Step 3 – Continue until you have approximately 2-3 sprinkles per color on each nail. Try shades of Miracle Gel™! Step 4 – Allow to completely dry and then seal the look with Miracle Gel™ top coat for up to 14 days of color and shine. No light needed! 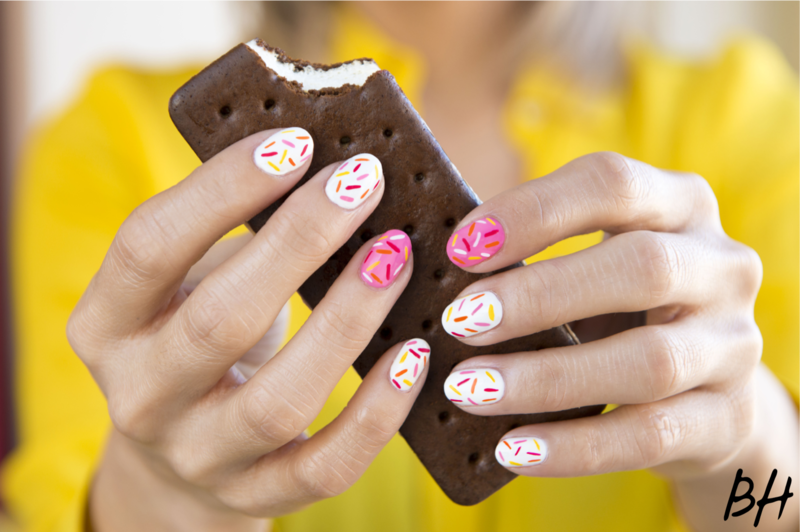 Now, go grab some ice cream and show off your sprinkle nails!